The trend for large and deep basement extensions creating so-called ‘iceberg homes’ in central London continues despite increasing public objection and tightening planning requirements. Planning applications for such building projects have reportedly increased ten-fold in the last decade. The projects often involve excavations in close proximity to multi-million pound properties, public infrastructure and major services. Consequently, failure to properly execute subterranean extensions can lead to dangerous and costly engineering failures. 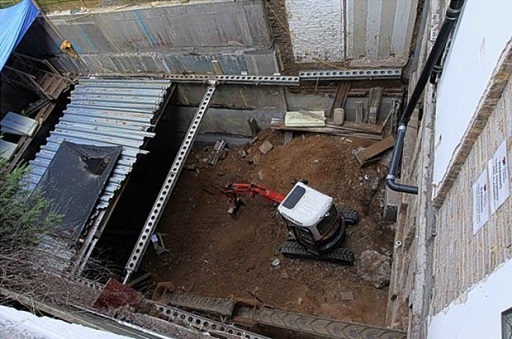 In March 2015, the Health and Safety Executive (HSE) reported on the findings of a blanket unannounced inspection of 127 domestic basement projects across central and west London.1 In the light of these findings, and other recently publicised cases, this article has been prepared to briefly consider the underlying causes of engineering failures that can affect subterranean extensions. In technical terms, the principles of maintaining stability while excavating beneath structures, such as terraced houses, are not necessarily complex. Broadly speaking, the works can be considered in a series of stages, at each of which the vertical loads and pressures due to earth and water should be balanced so that excessive forces, ground bearing pressures or frictions are not developed. Therefore, provided that the supports required at each stage can be installed before those employed at the previous stage are removed or undermined, the sequence of work should be well conceived. In practice, maintaining stability requires detailed coordination of the permanent works design, temporary works design, construction method and sequence of work. This coordination can only be achieved through cooperation between the client, main contractor, sub-contractors and designers throughout the planning and execution of the works. The need for this level of planning is recognised in current guidance to best practice (such as that produced by the HSE), and by some London local authorities which require method statements to be included as part of basement planning applications. Appropriate method statements will typically include detailed sequence drawings that show temporary works arrangements and calculations that consider the critical temporary and permanent conditions. Despite good practice being well documented, it has seemingly been disregarded in a number of recent cases. The outline findings of the HSE’s recent blanket inspection identified the ‘failure to appoint a competent temporary works engineer to design suitable propping’ as a recurring issue. 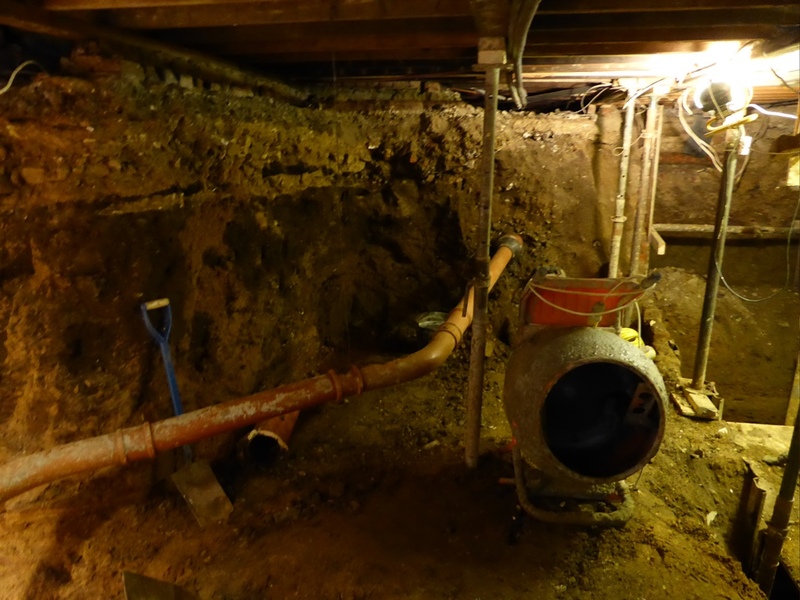 The HSE also reported that a rapidly increasing number of companies entering the basement industry ‘are often unaware of the risks associated with the technically challenging nature of the work’. These findings echo the case of a successful prosecution (that followed a similar 2013 HSE inspection initiative) in which excavations of up to four metres were reportedly not propped against lateral movement and no temporary works designer had been appointed.2 In such cases, the basic principles of stability are disregarded, with reliance instead being placed on unquantified properties such as the ability of the ground to stand unsupported; the ability of masonry structures overhead to arch or cantilever; and the capacity of unpropped underpinning subjected to large lateral pressures not to slide or topple. The consequences of failure to maintain temporary stability are illustrated by a striking case recently reported in the media in which a building containing flats was destabilised by basement works and later had to be demolished.3 The lack of, or failure to adhere to, a properly considered temporary works design and sequence of works is likely to prevail where a catastrophic failure has occurred. Despite the documented risks and available guidance on good practice, avoidable failures continue to occur. Failures are not only represented by catastrophic collapses. Predicting and limiting movement is an essential aspect of controlling basement works, especially where those structures being extended share walls and foundations with neighbours (Party Walls), as has been recently highlighted in the media.4 A commonly adopted approach to controlling movement involves equating ground responses predicted by geotechnical analysis to the stiffness of temporary and permanent structures in order to determine the strains likely to be experienced by an existing building. On this basis, the likely amount of damage that will be caused by movement attributed to excavations can be assessed using guidance such as that provided by CIRIA, and the design of temporary works can be adjusted to limit movement accordingly. This approach can require complex staged computer modelling of the soil-structure interaction in order to identify appropriate limiting ‘threshold’ and ‘action’ values for movement, both lateral and vertical. Limiting values can then be built into performance specifications for the works and into the building contract itself. Demonstration of this level of consideration is commonly required in order to secure Party Wall Awards, as are proposals for the accurate and regular movement monitoring that is required to validate such methods. Requirements for limiting movement have also increased the popularity of ‘top down’ type approaches in which slabs, which can act as stiff lateral props, are cast before the excavation commences beneath. Top down schemes can benefit from eliminating costly temporary works at the same time as avoiding open excavations and thereby reduce the risks of failures associated with unsupported excavations. 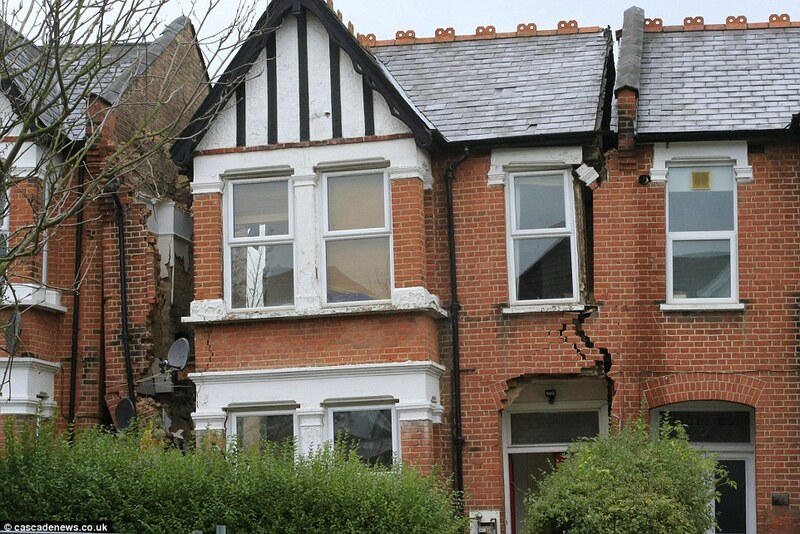 A rigorous Party Wall approval process involving both surveyors and engineers can ensure that appropriate methods of controlling movement are adopted. However, as highlighted by the HSE, currently many projects lack proper planning and temporary works designs. As such they lack well defined methodologies or agreed performance criteria. In these cases, as well as in cases where prescribed methods are not adhered to, predicting movements and resulting damage with any accuracy will not be possible and damage that should be foreseeable can occur. Whilst the broader issues that can result in failures are mentioned above, each subterranean development project is unique and complex. Therefore, the specific and detailed physical and procedural causes of failure will tend to be unique to every case and it is the identification of these issues that Burgoynes can assist with.